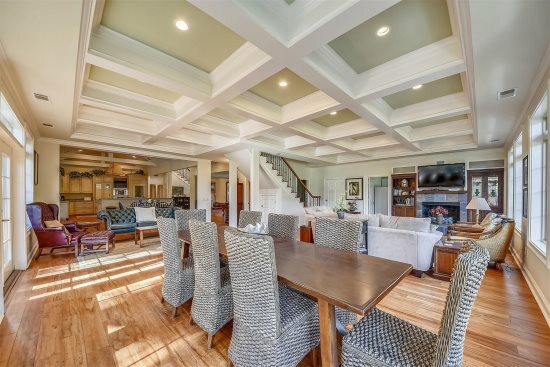 Beautiful 5 bedroom / 5.5 bath located in Singleton Beach on Hilton Head Island! "Chateau De Laudonniere" a beautiful, upscale home offering ocean views from almost every room and over 3000 square feet of living space in one of Hilton Head’s most eclectic locations. Singleton Beach is in the Mid-Island area of Hilton Head, located between Palmetto Dunes Resort and Port Royal Plantation. This area offers proximity to uncrowded Atlantic Ocean beaches, restaurants, shopping, and family entertainment centers. Chaplin Park, featuring free tennis and a large playing field is located within a 5 minute walk. The gourmet kitchen is elaborately designed with granite counters, ornate custom cabinetry, top quality stainless steel appliances, and dressed with peaceful ocean views. Immerse yourself in five star dining by heading over to the dining room with its circular, glass table and six plush stairs. Three sleek chairs are located by the breakfast bar for additional seating. With stunning panoramic views of the ocean, the living room is clothed with a comfortable and plush, three piece seating group, a decorative fireplace and an amoire with a flat screen television, and a DVD. A French door provides access from the living room to the outside deck where you can enjoy the views to the ocean while swimming in the pool. A boardwalk leads directly from this area to the beach. A washer and dryer is provided for all your laundry needs. There are 5 bedrooms in this house. On the main level there is a four poster, queens size bed with an over-sized armchair, a TV, a walk-in closet, and even its very own bathroom. Up the stairs, there are three additional bedrooms including the very expansive master featuring a king-size bed, a love seat with snug pillows, a desk with a wicker chair, facing the ocean; this the perfect place for a writer to drink in the views and intertwine their imagination with their fingers. The spacious master bathroom is home to a double sink vanity, a Jacuzzi tub, and a walk-in shower. The other two bedrooms on this floor have queen-size beds, private bathrooms, and TVs. The fifth and final bedroom is located on the third floor and is perfect for kids and young adults. Clothed in palm motif, it offers two full-size beds, a TV, two wicker chairs with a table and even a sitting area with a cozy loveseat, with a breath- taking glimpse of the Atlantic Ocean; this bedroom also has its own bathroom with a walk-in shower. 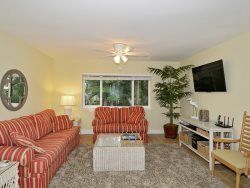 A beautifully furnished home, with calming views in one of Hilton Head’s best locations! Singleton Beach Rd. 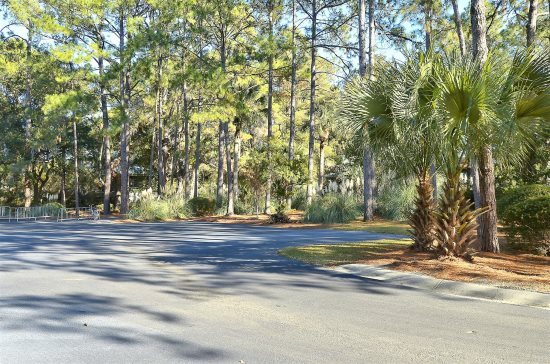 is in the Mid-Island area of Hilton Head, located between Palmetto Dunes Resort and Port Royal Plantation. This area offers proximity to uncrowded Atlantic Ocean beaches, restaurants, shopping, and family entertainment centers. Chaplin Park, featuring free tennis, a large playing field and a dog park is located within a 5 minute walk. Alyssa Schering was so helpful and really followed through on all of my questions. She found other properties for us to rent in case we had too many people and kept in touch with me to see if we needed the extra space. It more than met all of our needs.. no matter our ages... the littlest kids had a great time, along with the adults. Kitchen was very well supplied.